A global leader in sophisticated equipment for scientific applications, our client was facing major challenges. Global growth and increasing competition from low cost countries meant that they had identified a need to both increase output and reduce cost in its key product line. 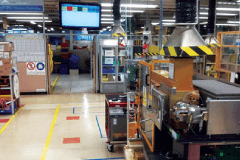 manufacturing footprint and cut lead times. Therefore they turned to TXM. The Flow production line developed with TXM halved the manufacturing footprint for this key product. TV displays now track progress against Takt time through the day and highlight problems through an Andon system. Team leaders and operators were fully engaged in the improvement process through visual management, daily meetings and “yellow tickets” to highlight and track problems. Working with the production teams, TXM conducted a detailed evaluation of the plant – completing a value stream map of the key product lines, benchmarking the operation against best practice standards in plant layout and conducting a 5S audit to determine the effectiveness of space utilisation. We then coached the team to develop a new plant layout and production concept for the product line incorporating flow production to Takt time, introducing quality assurance at each process step, developing highly efficient sub assembly cells and implementing improved raw material supply processes. 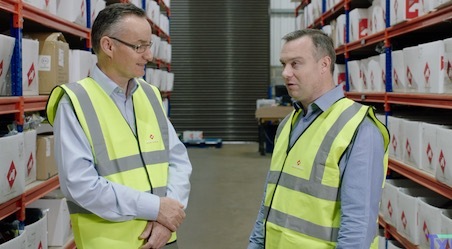 Coaching extended over an 18-month period to support implementation of this new production line concept and ensured knowledge was handed over to the client’s team. A 80% reduction in final test time. As well as reductions of over 50% in sub-assembly production times. 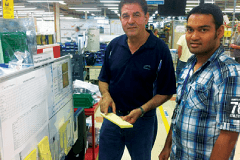 Production lead-time and work in progress inventory were reduced by 75%.